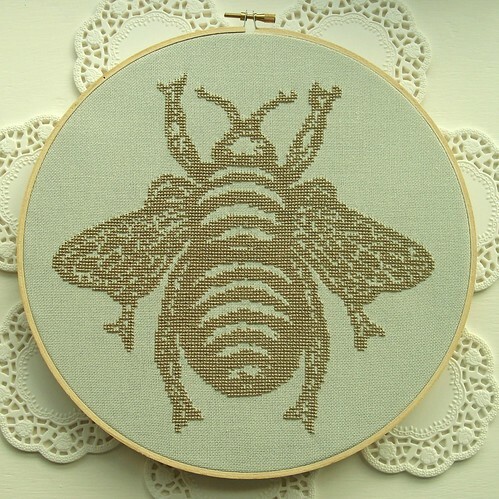 Thanks for sharing the bee image. It's a wonderful design. I love bees and have just bought the coolest bee pendant. It kinda looks like lace...beautiful! I LOVE those! I am buying a pattern today! I'm really really new at this, but already hooked! I can't wait! And thanks for your blog it has been a huge help in finding really cool stitching! I think that is one amazing bee! She's awesome and has mastered the metallic thread. I bow to anyone that can do that.